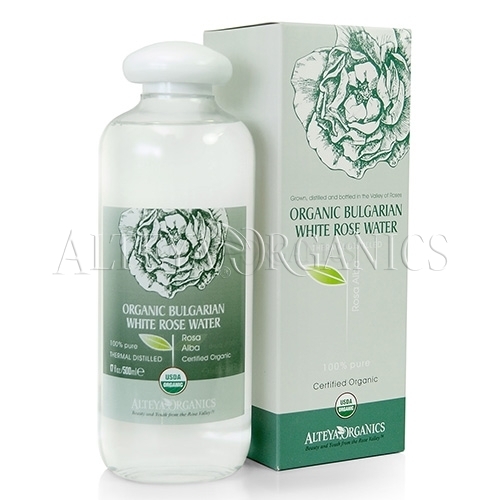 Experience the rare pleasures the mesmerizing white rose flower water provides. 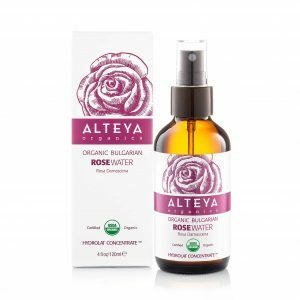 Alteya’s 100% pure, steam distilled white rose water is made of fresh, organic Rosa Alba blossoms one of the rarest oil-bearing roses. 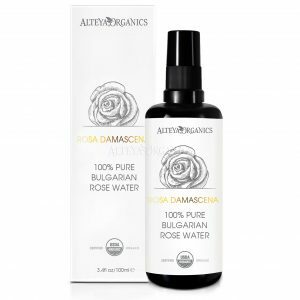 As compared to our pink Rosa Damascena water, this one has lighter and more delicate floral aroma. It carries all the fragrance complexity of the white Rose Alba. By using a unique distillation technique, which embodies century-old traditions and modern technologies we distill a special grade white rose flower water that preserves the biodynamic energy of the rose plant. 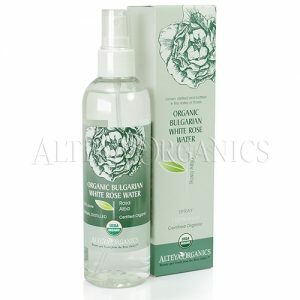 100% organically grown and ethically harvested from our family rose farm in the heart of the Bulgarian Rose Valley. Cleansing, hydrating, and toning for all skin and hair types – a perfect finish for your daily cleansing and refreshing routine. • Soak a cotton pad with rose water and smooth over the entire face and neck. • Saturate a towel, warm up and apply to face to detoxify and clarify skin, and unclog pores. 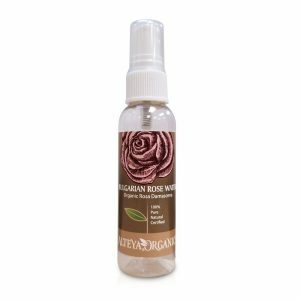 • Spray the gentle rose mist all over your body for instant moisture and freshness. Rejuvenates dull skin and calms after prolonged sun exposure. 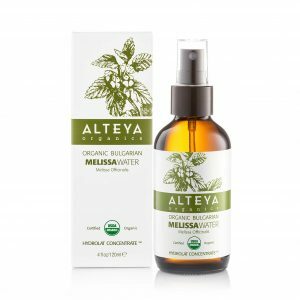 • Provides essential nutrients to hair and if used daily, significantly improves shine and natural luster. Spray daily. Perfect for all homemade cosmetics. 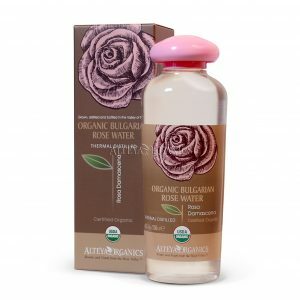 Use this aromatic mist to soften and hydrate your skin and hair and indulge in the gentle rose aroma. 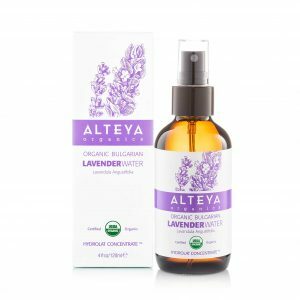 This gentle form of aromatherapy is suitable for sensitive people, pregnant women and kids. The rejuvenating fragrance uplifts the spirits and harmonizes the mind. It has toning and restoring effect and enhances romance. Use as a bathtub supplement for stress relief or spray your room, bed sheets, and clothing. Natural flavor-enhancement for foods and beverages. Add it to your exotic deserts, beverages and cocktails. Great for flavoring ice creams and teas.